A mobile beverage canning company servicing the beautiful and craft heavy Pacific Northwest. We pride ourselves in being on the cutting edge of mobile canning technology, efficiency, quality control, and customer service. 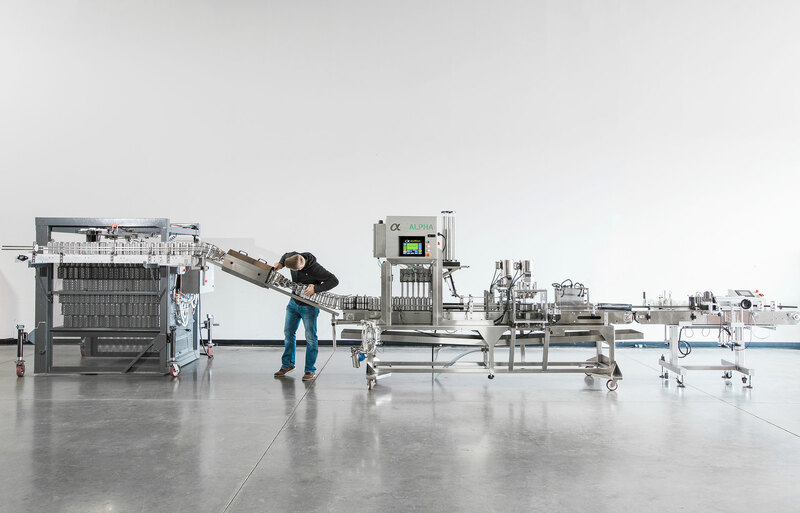 With 10 years of professional experience in mobile beverage packaging, Tinman Mobile Canning is the ideal solution to help you get your product into cans and onto shelves. 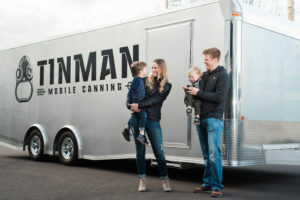 Tinman Mobile Canning is a family owned endeavor operated by Nathan and Jamie Ofstad, and in partnership with Signature Mobile Bottlers out of Clackamas, Oregon. Nathan and Jamie are both native to the Northwest, and their love of all things craft has helped facilitate their dream of being able to work with the incredibly talented brewers, winemakers and beverage producers found throughout Oregon and Washington. 10 years of professional industry experience, a strong business background, and a passion for all that the Northwest has to offer has made that dream a reality.